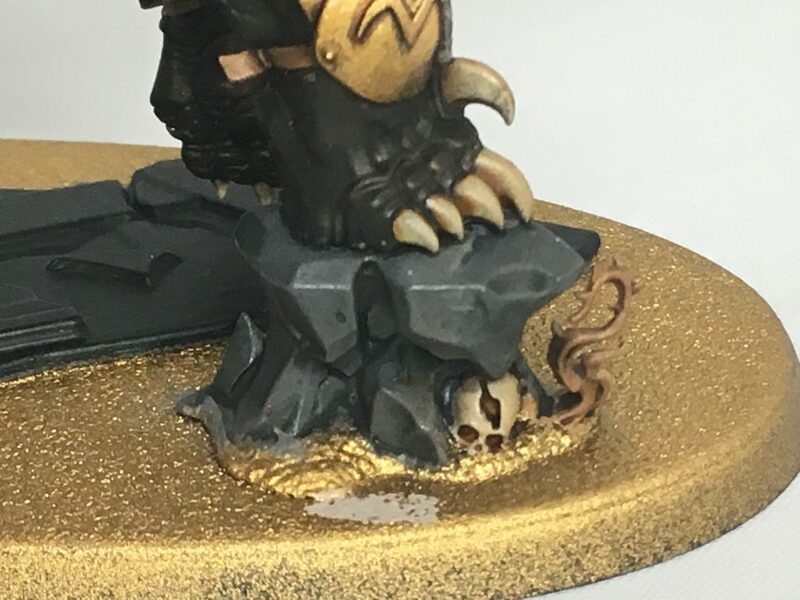 Welcome to the second part of how to paint Valdus Hammerhand. If you missed the first part, you can find it here. 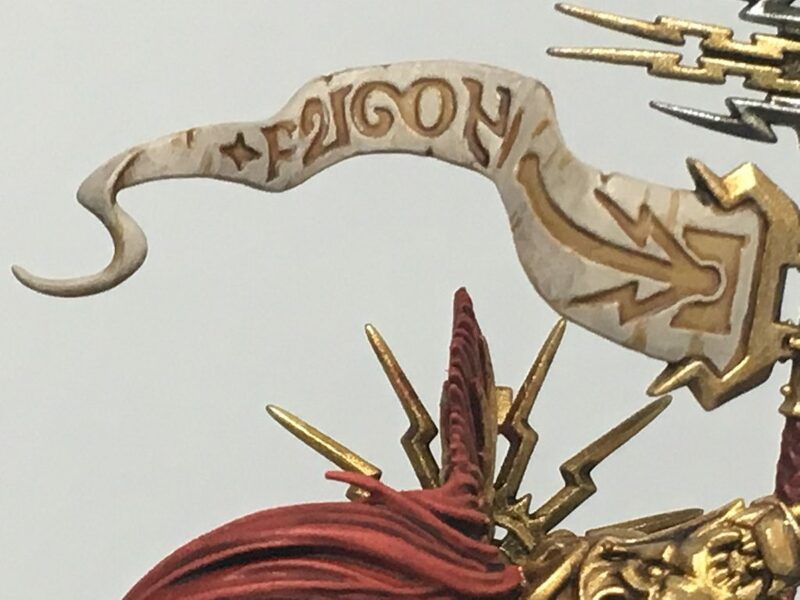 For the ribbons and banners, I use a pretty straight forward way of colouring them. 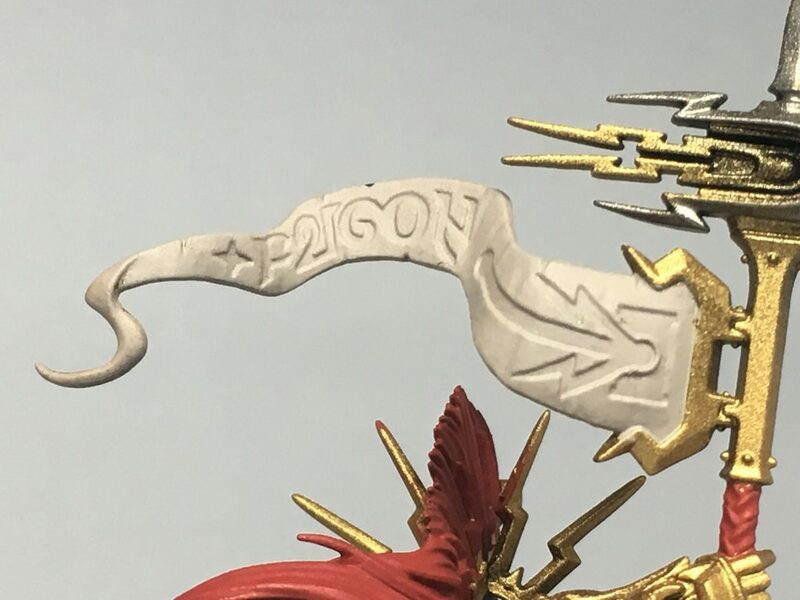 Starting with Citadel Rakarth Flesh, I give the whole ribbon/banner a smooth coat of it and then wash it with Citadel Seraphim Sepia. 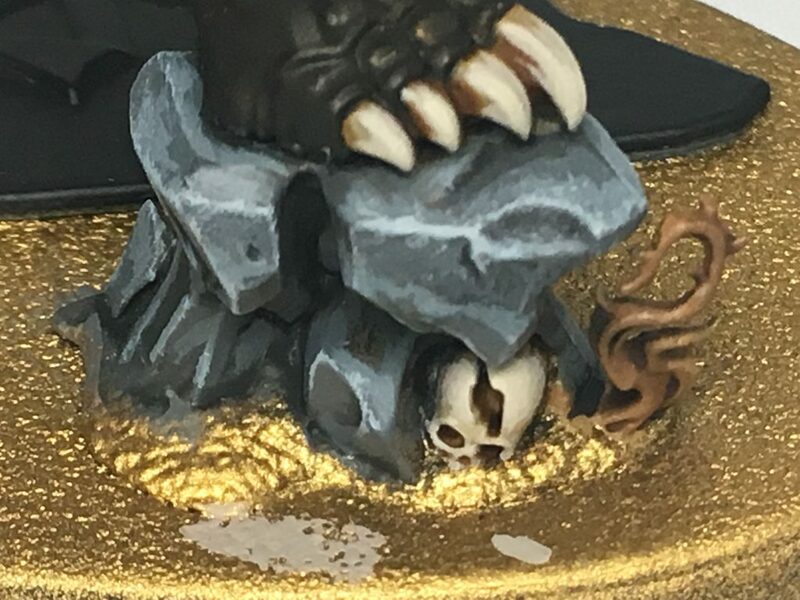 I’ll then reapply Rakarth Flesh so being sure to leave the Sepia in all the recesses. 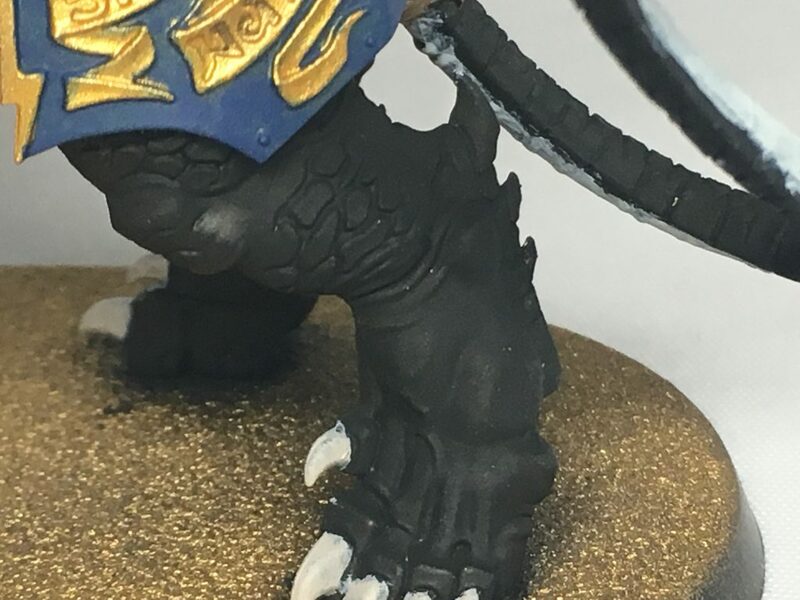 With that coat finished, I add some White to Rakarth Flesh, and give it one highlight on the raised areas. 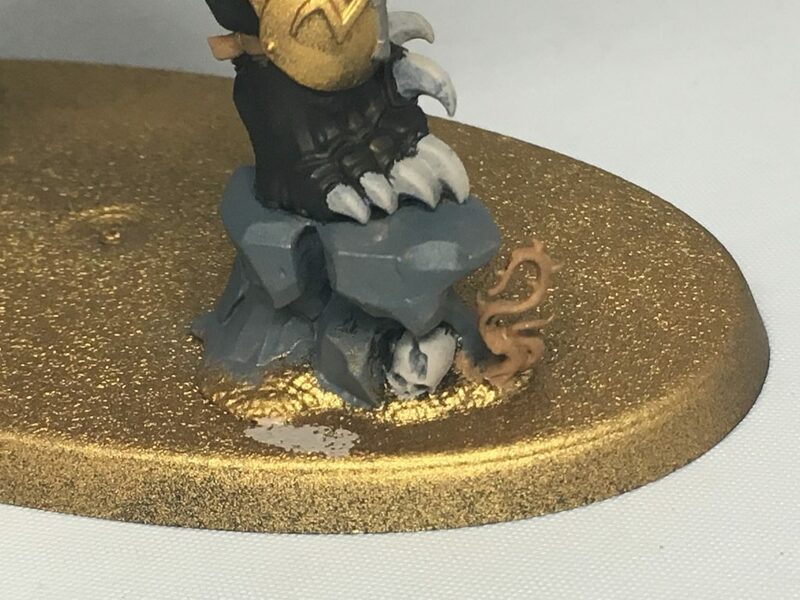 The second highlight was done using the previous mix, but with more white added. This is applied to the edges and raised areas that would catch the most light. from above. 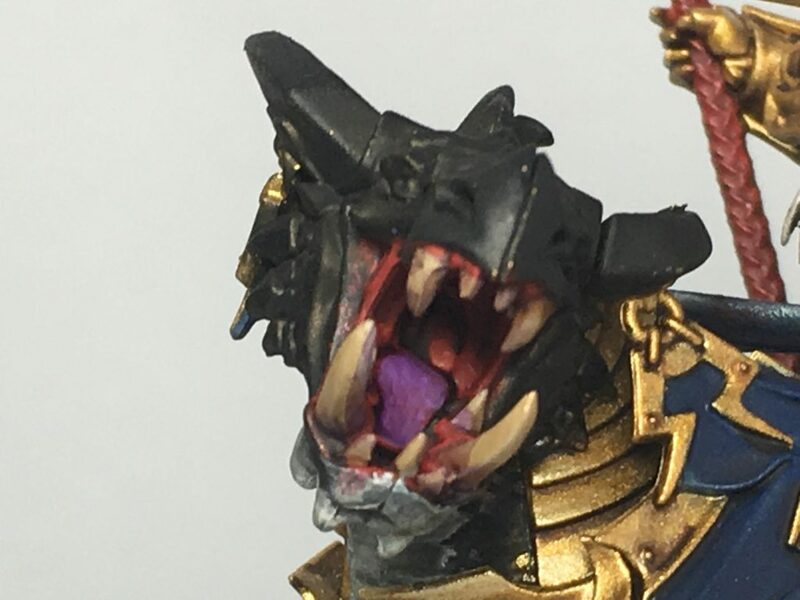 I wanted to make the Dracoth’s mouth as natural looking as I could without spending an age painting it, so painted it up with Citadel Mephiston Red and washed with Citadel Druchii Violet. 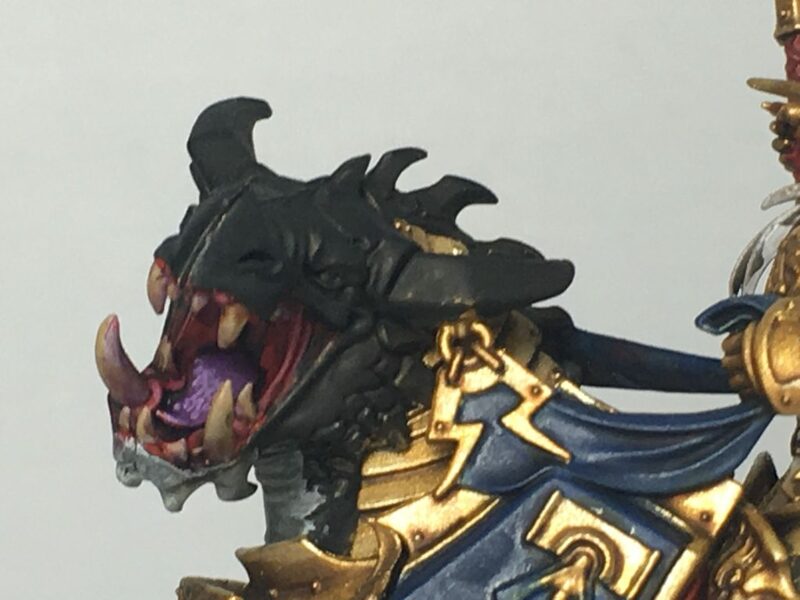 Mephiston read was reapplied, leaving the Druchii Violet visible in the recesses. 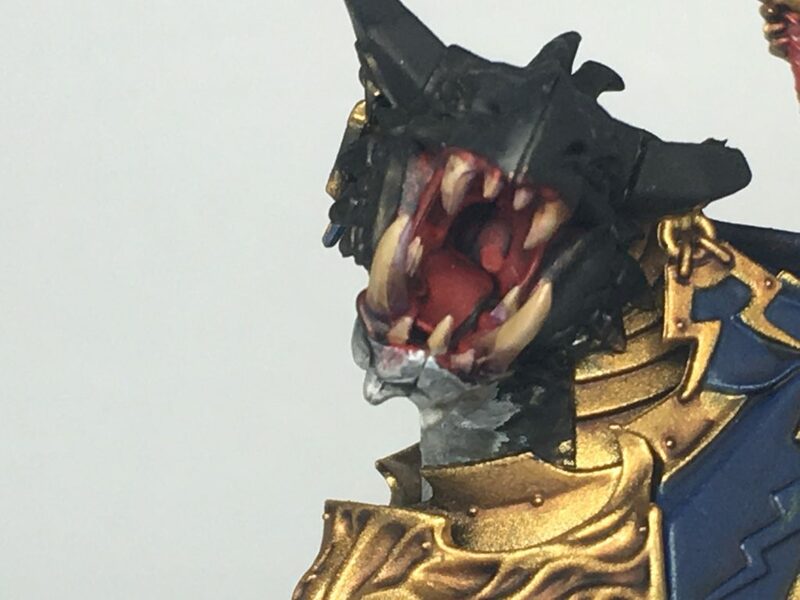 I then mixed a little Citadel Genestealer Purple with the Mephiston Red to apply the first highlight ot the raised areas, and also the areas of the mouth that would look paler. To get what I mean, have a look in the mirror at your teeth, and how the gums look. On the areas where the gum goes around a tooth, it looks a little paler, so this is what I was trying to go for. 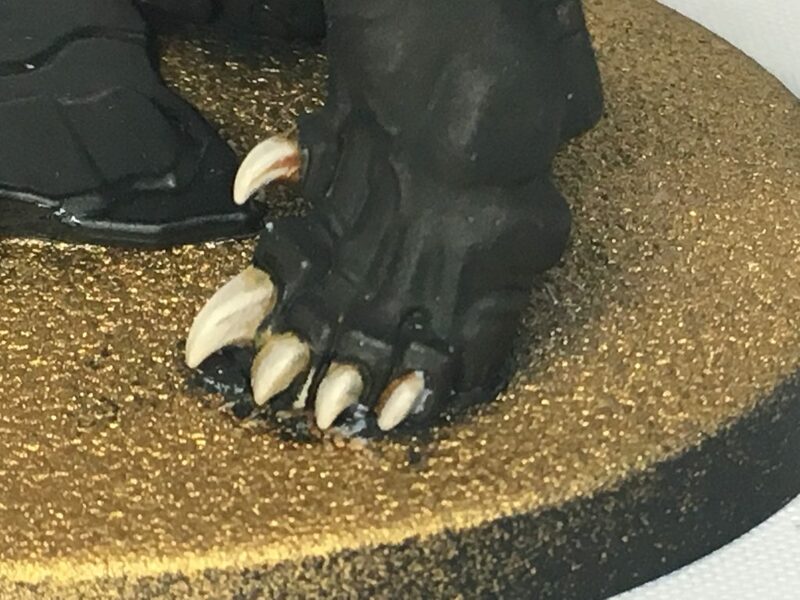 For the second highlight, I mixed in more Genestealer Purple and applied it to the very tips of the raised areas we previously highlighted. 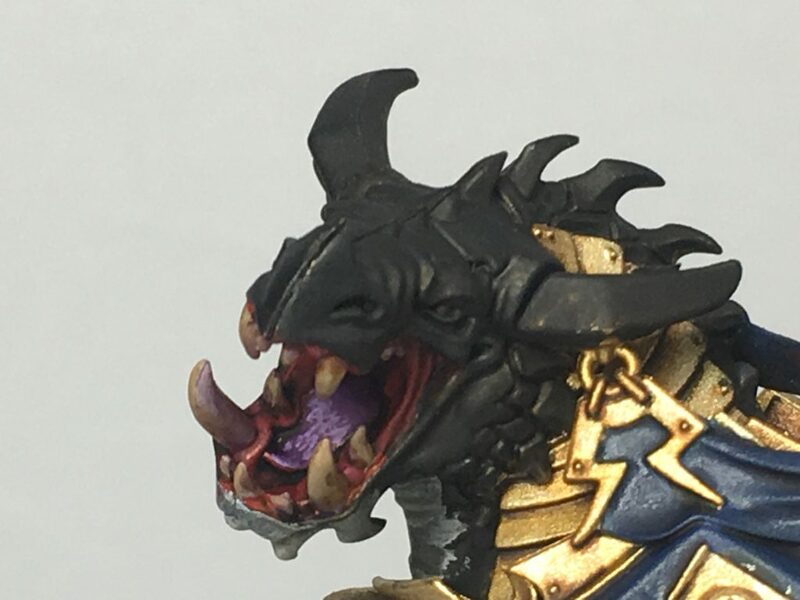 The tongue was painted using Genestealer Purple, washed with Citadel Carroberg Crimson. 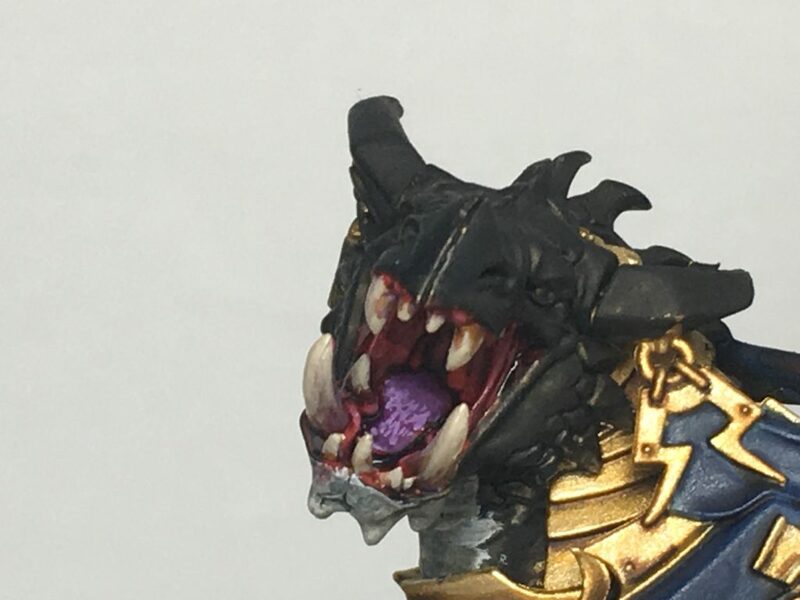 I then reapplied the Genestealer Purple, before mixing a spot of White to it, and stippling it a little onto the tongue to give to give it a kind of rough look. 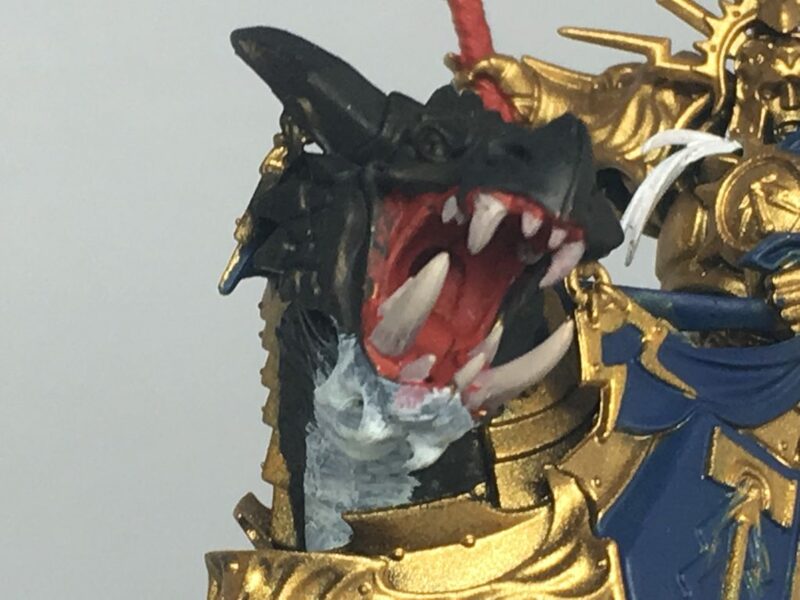 Once the whole mouth was painted, I applied gloss varnish to give it a wet look. 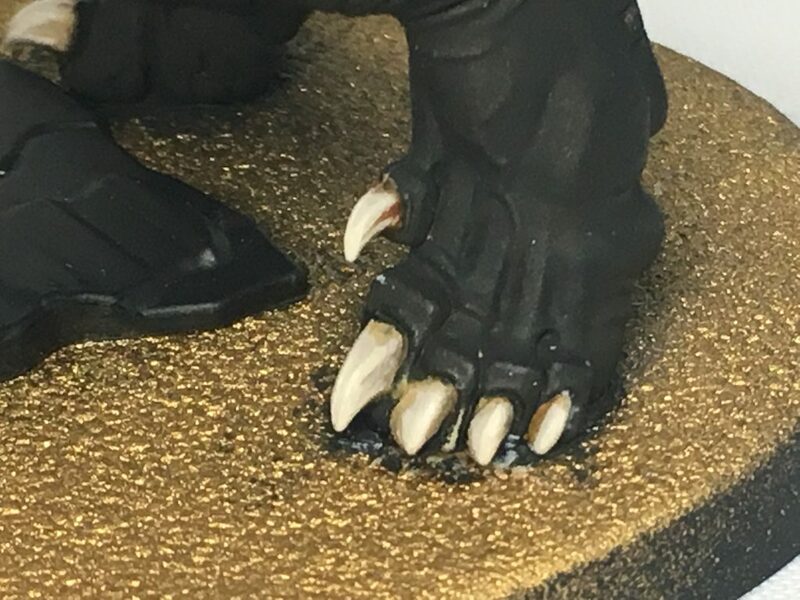 The Dracoth’s claws and teeth were also painted with a very quick and easy technique. 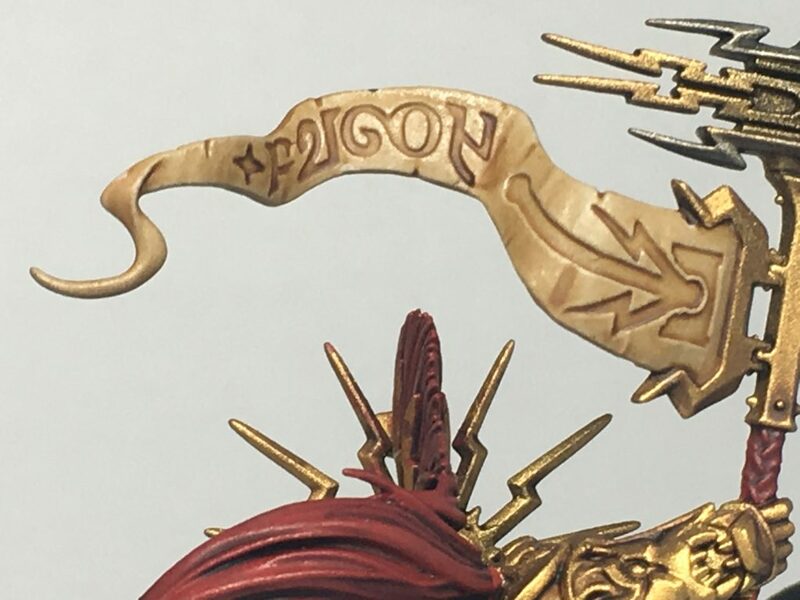 First, they were painted with Rakarth Flesh – a popular colour here… – then washed with Seraphim Sepia. 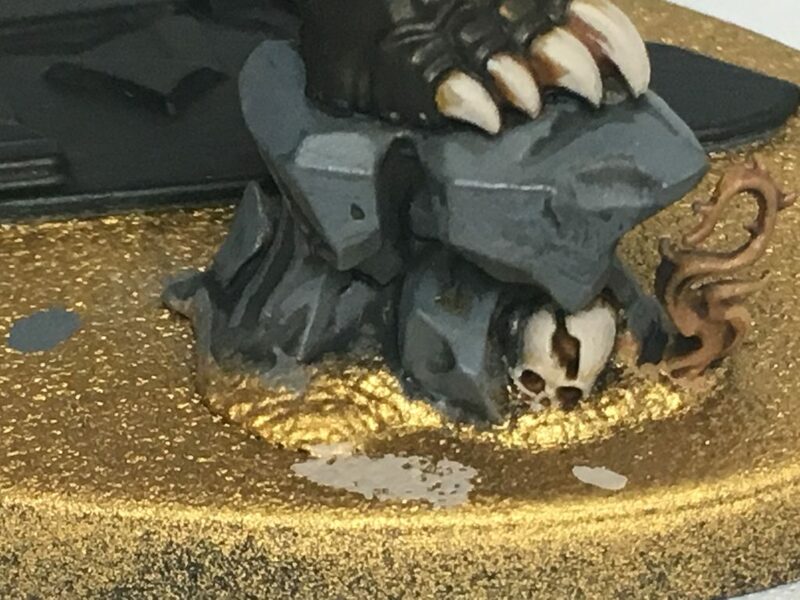 The Rakarth Flesh was then reapplied leaving the Sepia close to the base of each tooth/claw. 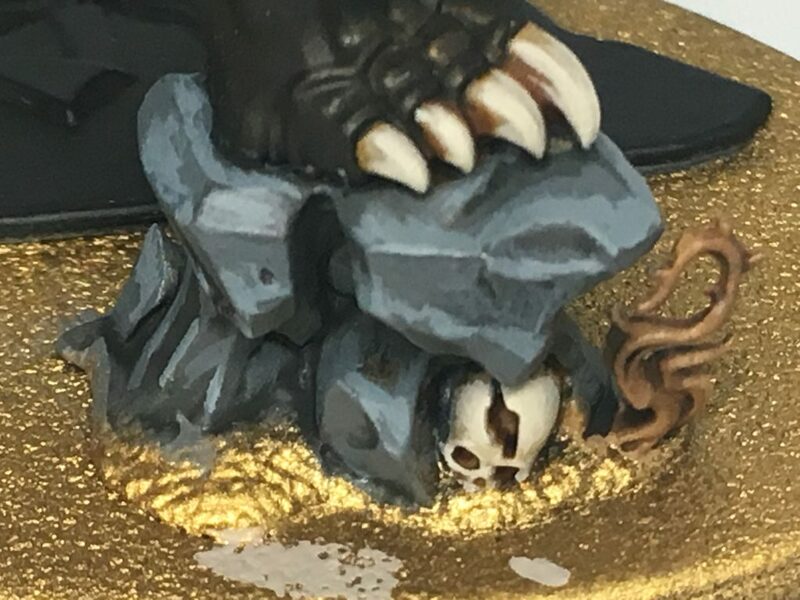 Next I added some Citadel Ushabti Bone to the Rakarth Flesh, and applied a highlight, being sure to try and catch any ridges in the teeth/claws. The final highlight was the previous mix, but with White added to it. 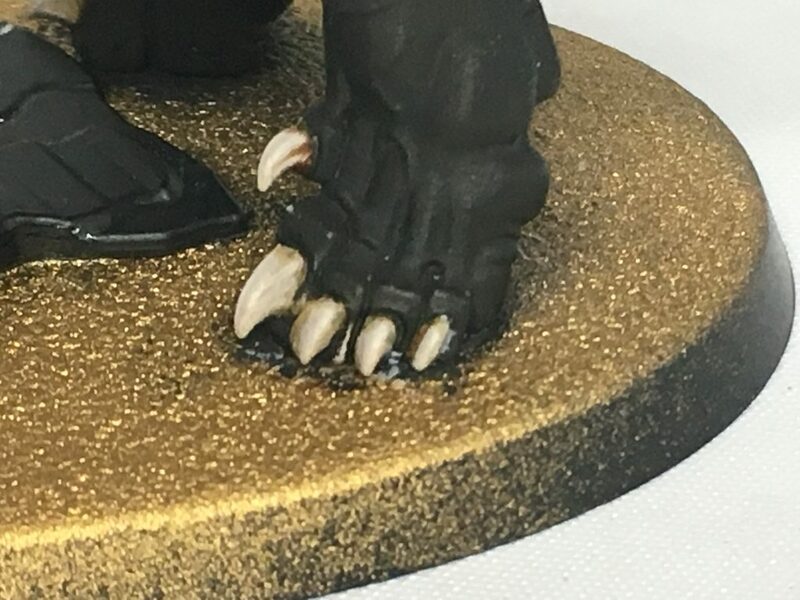 This was done on only the most prominent ridges and the tip of each tooth/claw. 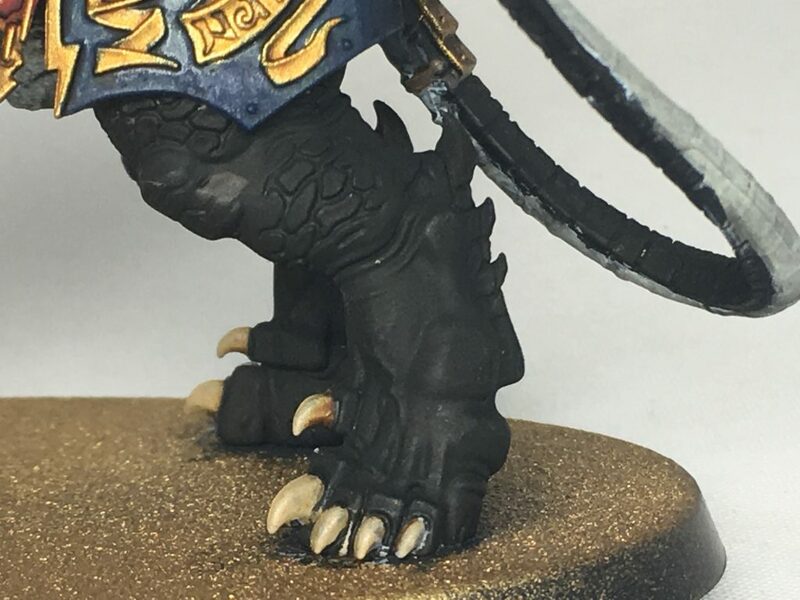 The stone under the Dracoth’s foot was basecoated with Citadel Mechanicus Standard Grey, washed with Citadel Nuln Oil, then re-coated with Mechanicus Standard Grey, being sure to leave the Nuln Oil in the recesses. 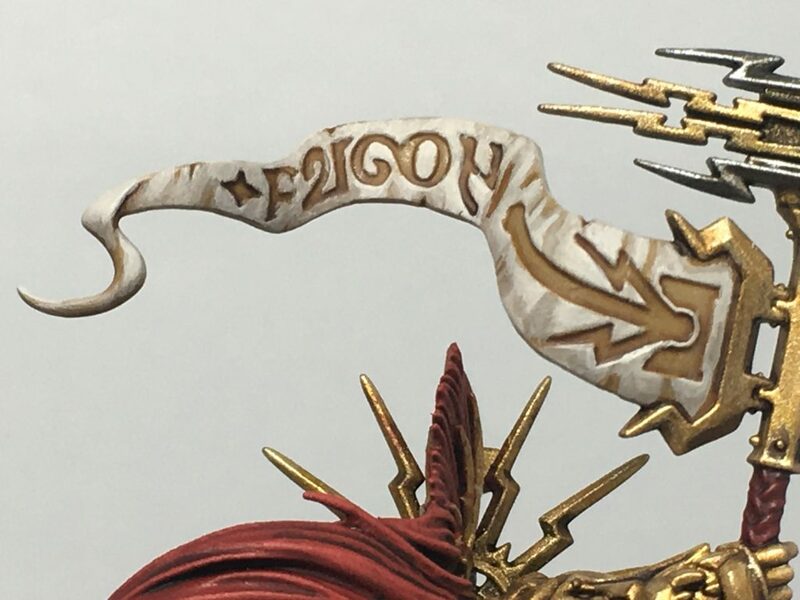 To highlight, a little White was add to the Mechanicus Standard Grey, and applied to the upper sides and any ridges that may catch the light, before a final extreme highlight was added using Vallejo London Grey. 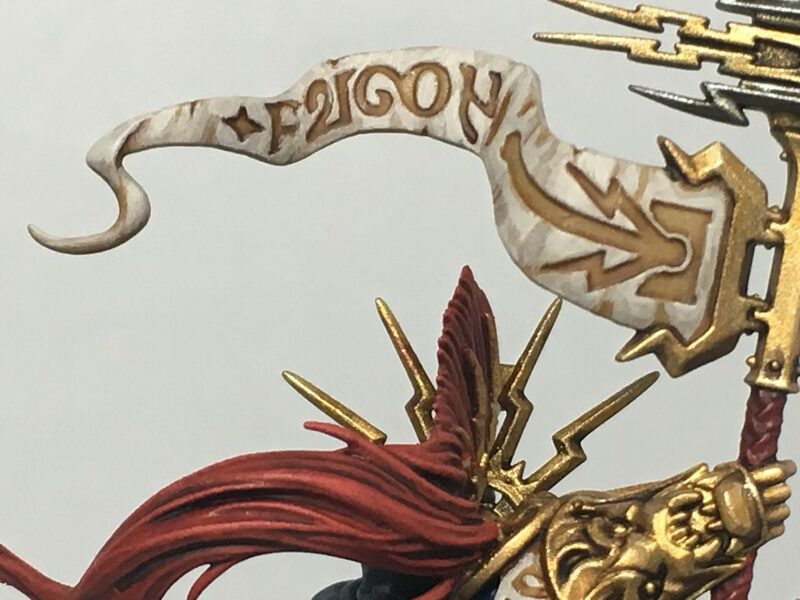 In the next part, we’ll be looking at more sections to paint up Vandus.